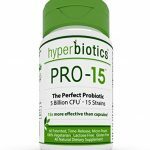 This is a fairly basic probiotic supplement with broad-spectrum coverage and recommended for minor gut ailments. Garden of Life has an extensive line of probiotic supplements. 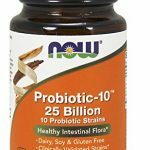 Today, we’ll look at their broad-spectrum, once-daily Ultra 90 Billion CFU product to see how it stands against the ever-increasing array of probiotics. Garden of Life makes a decent line of probiotics available in a variety of tablet-counts. There are however, some things to consider. While the product claims a high CFU count (15 billion), this number quickly dwindles after the manufacturing date. This supplement also contains soil based organisms and requires taking multiple capsules a day (1-3) for optimum results. Garden of Life Primal Defense is marketed as an immune boosting probiotic supplement. Each capsule contains 5 billion CFUs, bringing the total to 15 billion if taking the recommended dosage of three capsules per day. This is not a child-safe product as it contains iron. At 90 capsules per bottle, the tablet count is very standard. The inclusion of Saccharomyces Boulardii and Lactobacillus Brevis makes this supplement unique in its content of a strain proven to aid in activities aiding immune health and urinary health. 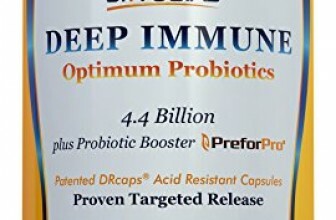 Garden of Life Primal Defense probiotics contain 5 billion CFUs per capsule. The daily recommended dosage is 3 capsules, which provides a total of 15 billion CFUs. One thing to keep in mind is that this brand has received complaints about the permanence of claimed culture counts. Like many probiotic products, information is only available for culture count at the time of manufacture. The average person requires 10-15 billion CFUs to maintain gut health, so taking into account the 3-capsule serving and dwindling culture count, it is unlikely that Garden of Life Primal Defense probiotics can provide beneficial health results. Garden of Life’s Primal Defense Ultra probiotic supplement contains 13 different strains, including the standard Lactobacillus, Streptococcus, and Bifidobacterium strains as well as some strains unique to the Garden of Life formula such as Saccharomyces Boulardii and Lactobacillus Brevis. One thing to keep in mind is that all Garden of Life probiotic products are based on CFU counts projected from time of manufacture, a number that has not been held to be representative of what actually ends up in your gut and colon. Their strain diversity is great as far as intention goes, but potency and preservation can do with some work. This supplement brand does not produce capsules that are resistant to stomach acid. 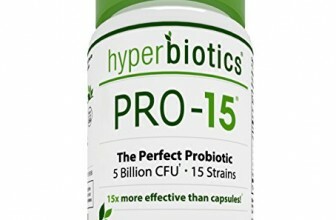 While the label claims “stomach acid resistance”, they are referring to specific probiotic strains that are resistant to bile, not the actual integrity of the capsule itself. Garden of Life Primal Defense Ultra probiotics are not produced with controlled-release technology. Garden of Life probiotic products have been criticized for their weak potency ratings. Each capsule contains a low CFU count (5 billion), the tablets are not enteric-coated or manufactured with controlled-release technology, and the CFU count is projected from time of manufacture rather than end of shelf-life. 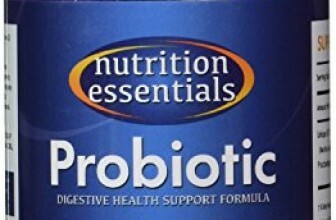 This is a fairly basic probiotic supplement with broad-spectrum coverage and recommended for minor gut ailments. The potency of the product is not guaranteed and the supplement is not manufactured with controlled-release or stomach acid defense technology. Garden of Life’s Primal Defense Ultra formula is also not safe for child consumption since it contains iron.